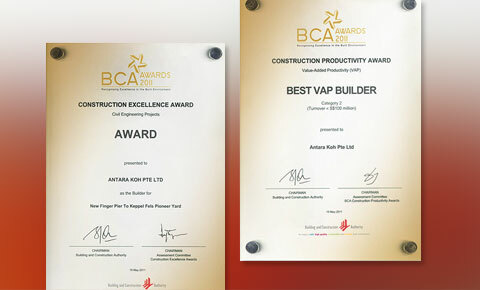 Antara Koh has won the bizSAFE Enterprise Exemplary Award 2019 organised by Workplace Safety & Health Council, Singapore. 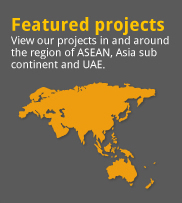 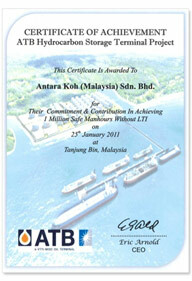 This award acknowledges company’s commitment to the better workplace safety and health practices. 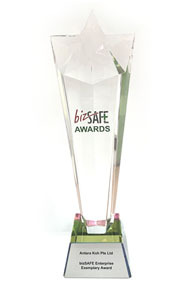 The award was presented during bizSAFE Convention 2019 held on 28th February 2019 at Singapore Expo. 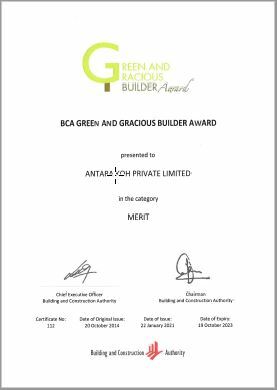 Antara Koh has received the Green & Gracious Builder Award (Merit category) from Building & Construction Authority of Singapore during September 2017. 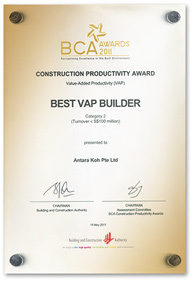 This award recognises company’s efforts towards environmentally sustainable construction practices. 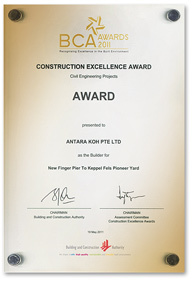 Antara Koh has won the bizSAFE Enterprise Exemplary Award 2015 organised by Workplace Safety & Health Council, Singapore. 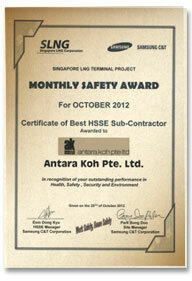 This award acknowledges company’s commitment to the better workplace safety and health practices. 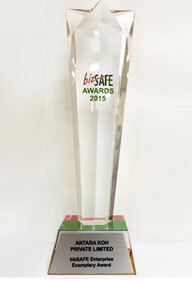 The award was presented during bizSAFE Convention 2015 held on 5th February 2015 at Singapore Expo. 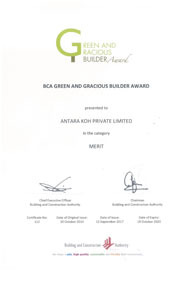 Antara Koh has received the Green & Gracious Builder Award (Merit category) from Building & Construction Authority of Singapore during October 2014. 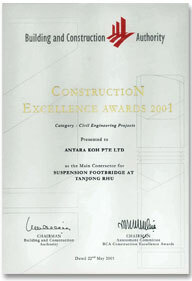 This award recognises company’s efforts towards environmentally sustainable construction practices. 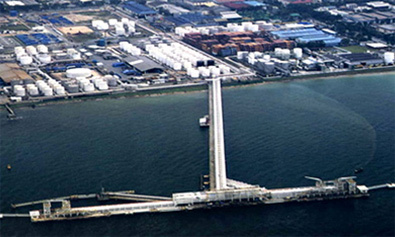 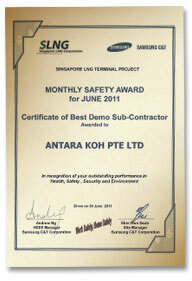 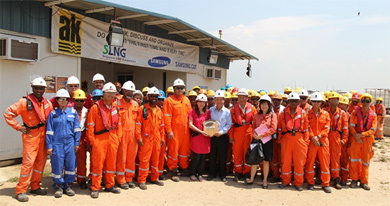 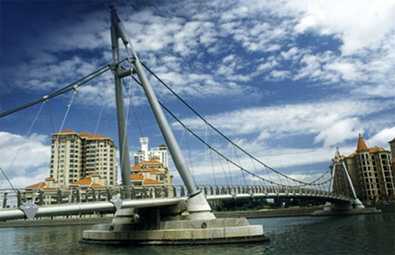 Antara Koh Pte Ltd was presented the Samsung C&T Monthly Safety Award 2011 and 2012 for the Singapore LNG Terminal Project.